The Lyons Main Street Streetscape project is moving from dream to reality, as crews dig up and replace the old pipes with new ones. Over the next 3 months, new sidewalks, new parking, lighting, and landscaping will transform East Main Street, to improve safety, invite strolling, and increase business. This $2.8 million project has been over 5 years in the making, funded mostly by Federal and State grants. As exciting as it is, reality is setting in. Ripped curb and gutters can cause inconvenience, noise, dust and, most unfortunately, potential impacts to business. While construction was timed to avoid as much of the busy summer season as possible, it is impossible to do the work without major disruptions. Town staff is working hard to implement this project, as smoothly and timely as possible. Joe Kubala, the project engineer, has hit the ground running, bringing nearly 35 years of professional engineering experience to the overall management of efforts. Joe and his team meet regularly with the contractors, business owners, Board of Trustees, and citizens, to meet tight work deadlines and address public concerns. Check Town eblasts for regular updates. Commit to trying at least one restaurant you have not yet visited – you may be surprised by the range that Lyons has to offer. Shop! You’d be amazed at the jewels you can find, new and used, on Main Street. Head over to Soapy Nick’s to get all your laundry done at once! Try a new hobby, such as quilting or pinball. Consider having your next book club or organization meeting over coffee or a meal at one of our local establishments. 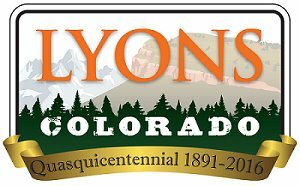 Invite friends and family up for a Saturday in Lyons. We are lucky to be surrounded by vast open space, with the extra benefit of the St. Vrain right in Town. Grab a bite afterward, or check out some of our great outdoor gear shops. Do some spring cleaning and start fresh – whether it’s your medicine cabinet or the tool shed, restock here in Lyons. Make a point of buying more groceries in Town, even if just for a few items – the St. Vrain Market, Steamboat Mountain Foods, Button Rock Bakery, and Franks Produce Outlet are just a few of the excellent sources for food selections. If walking through construction is not your cup of tea, order take-out. Whether it’s pizza, sushi, or a sandwich with all the toppings, you can support our local businesses at the comfort of home. Enjoy a relaxing stroll through town, with an ice cream cone in hand! Yes, the interrupting construction is a hassle, but this is our town. Shrug off the desire to gripe about the traffic (note to self on that one) and say an encouraging word to your fellow citizens – or share your favorite alternate route for getting across Town. Before we know it, these projects will be complete, and the new, pedestrian-friendly, well-lit Main Street will be worth the hassle! Let’s continue the momentum as Lyons Strong.